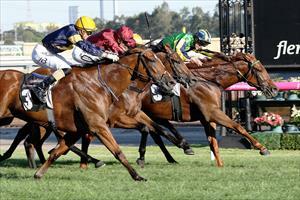 Strike Force is our only runner on Friday when he races under lights at Moonee Valley. Strike Force runs in race seven, the Open Handicap over 1606m with Lachlan King to ride. Strike Force won over 1600m at Moonee Valley two starts back and Mike Moroney expects the distance to be on the sharp side for the five-year-old. “It’s a handy race for sure and the key I think will be for him to press forward and if h can find the lead without having to do too much work,” Moroney said. ‘He looks terrific is handling his racing well.